The Baylor Debate Policy Workshop emphasizes research and skill development on the NSDA/UIL policy debate resolution for the upcoming season. Labs and lectures are offered on the novice, intermediate, and championship levels. Lectures are given by our highly experienced workshop staff with decades of experience in the debate activity. Baylor’s low student-faculty ratio (10:1) allows the opportunity for extensive one on one interaction with our outstanding teaching staff. Students at the workshop can research in Baylor’s world-class library, and have easy access to the best electronic research available. In addition, students will receive complimentary access to AirBear, for conducting wireless research and for paperless debate practice! Intensive practice sessions equip students with the experience necessary to improve their in round debating skills. The Lincoln-Douglas Debate Workshop provides the student an intensive, skill-specific experience on the upcoming high school Lincoln-Douglas debate topic. We have created a format uniquely ours for teaching value debating to high school students. The Lincoln-Douglas section will be an independent workshop, featuring instruction in philosopny, value debate strategy and tactics, persuasion and public speaking skills. Each student will participate in practice debates to enhance his or her debate skills. The Baylor Debate Workshop offers the most extensive library material specific to the upcoming topic. ** Discounted rates for commuter students are available. 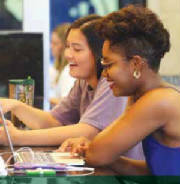 Baylor has created a unique camp format for teaching policy debate to high school students. The goal of the policy workshop is to offer instruction in the traditional style of policy debate, intended to provide an in-depth understanding of the national topic. While some attention will be given to "critical arguments" -- especially to answering these arguments -- the focus will be on traditional debate practices in UIL and TFA circuits. Students receive instruction appropriate to their level of experience. Special instruction will be offered in researching policy propositions. Students will receive extensive training in how to improve their own speaking abilities and how to get a competitive edge against their opponents. Intensive practice sessions will provide the experience necessary to improve in-round debating skills. IMPORTANT NOTE: When you register, you will be given an option to pay for cancellation insurance. This is an option that we regard as unnecessary for our students, but it is a Baylor University policy that it be offered for all Summer programs on the campus. When you see the option to pay $76.92 for this "cancellation" insurance, please be aware that we do not recommend it for our students. You can read our own cancellation policy by clicking the link above labeled "2019 Workshop Information Letter." The "cancellation" insurance policy is expensive and only covers you if you cancel for very limited reasons.